Financial advisor Greg Globetti may have been the winner of the MacBook Air draw for attending the 2018 Disruptive ETF Virtual Summit, but all attendees were winners as they were treated to a cornucopia of knowledge from industry experts in areas, such as robotics, artificial intelligence (AI), ESG investing, online retail, and cryptocurrencies. The summit gave attendees an insider’s look at the types of disruptive technologies that are poised to turn their respective industries upside down and the ripple effects they will have on exchange-traded funds (ETFs). The summit kicked off with a discussion on robotics, AI and automation, featuring Jeremie Capron, Director of Research, ROBO Global; Catherine Wood, Chief Investment Officer & CEO, ARK Invest; and Sue Thompson, Head of SPDR Americas Distribution, State Street Global Advisors. 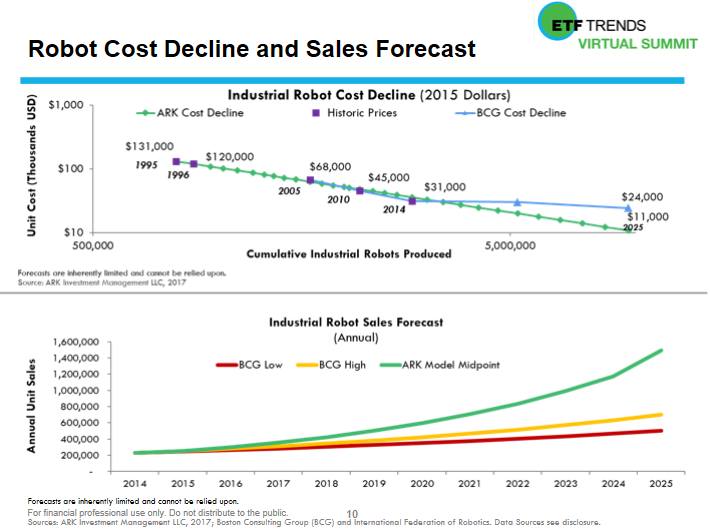 The cost to incorporate robots in the industrial industry has declined over the years, allowing for a better cost-benefit efficiency. As the industry continues to gain more traction and implementation in various industries, the rate of change will be astounding. The second panel of experts divulged their thoughts on environmental, social and governance (ESG) investing–Aniket Shah, Head of Sustainable Investing, Oppenheimer Funds; Martin Kremenstein, Senior Managing Director, Head of Retirement Products and ETFs; and Kate Macauley, ESG and Impact Strategies, Goldman Sachs Asset Management. 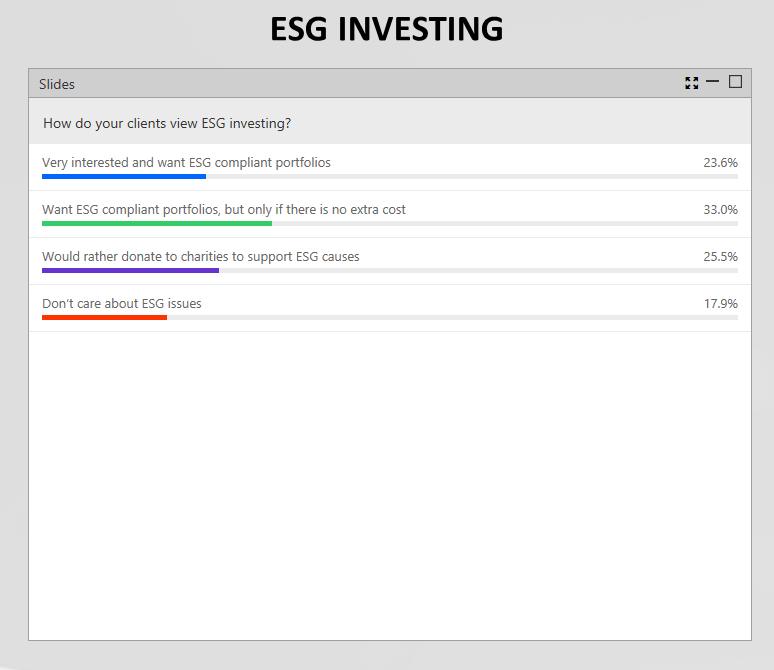 The discussion began with a question posed to financial advisors regarding the state of ESG investing in general with respect to their clients’ knowledge regarding ESG. ESG investing is still looking to gain more traction from investors as the space continues to expand with a greater outreach. The results were mixed, but collectively, over 80% did actually care about ESG issues or were at least aware of its availability as a tangible investment opportunity. With the help of more education in the space, ESG industry purveyors can parlay this into more expansive growth for ESG in the future, which is already being felt. “I think we are in the early stages of that acceleration (of education), but growing quite a bit,” said Shah. The third panel discussed the battle between online retail versus brick-and-mortar, featuring Simeon Hyman, Global Investment Strategist, Head of Investment Strategy Group, ProShares; Christian Magoon, Founder and CEO, Amplify ETFs; and Sylvia Jablonski, Managing Director, Co-Head of the Capital Markets & Institutional Strategy Team, Direxion. The discussion began sizing up both retail industries, and the state of the brick-and-mortar industry when large retailers like Sears are declaring bankruptcy. 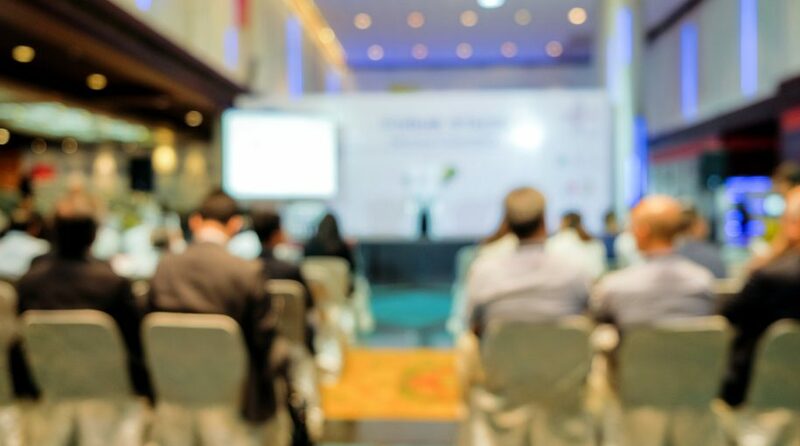 Registrants at the virtual summit were asked whether this trend would continue next year, which showed the majority positing that the pace would continue as is or increase.